Tez Scratch Card Bug : hello Guys Today Bigtricks is Again Back With A Exclusive trick to get Tez Scratch cards Without Sending Rs.150 or More To Your Five Friends.You can Get Unlimited Tez Scratch cards by Sending Rs.150 to Your Self any Number of Times. 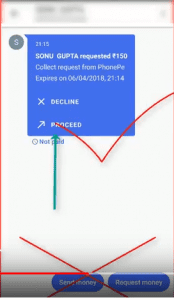 We have Found A Trick which is Working Perfectly and Posting On Bigtricks First.I have Also Uploaded a Video On Youtube with Live Tutorial, You can Watch this and Get this Process Step by Step. if You Like This trick or it Worked for You. Please Share with Friends and let them know about this. So let’s Start The Trick. First of all You will Need to have A tez app and Any other UPI app like Paytm,Phonepe or any other.First use Phonepe than Paytm coz paytm is working too slow because of Paytm UPI Offer. 1.First of All Download tez App From here. 3.Now Create Accounts and Complete all basic steps. 4.Now On Phonepe or Paytm UPI App request Rs.150 to Your Tez UPI ID. 5.When You request, you will Get a Notification in Tez App. 7.Pay The Requested amount using UPI bank account by entering mPin. 8.Once You pay, You will Get one Scratchcard worth Rs.1000. 9.Now To Get More Scratch cards Follow Below Steps. 10.Open Paytm or Phonepe App and Go to My account as Shown in Pictures. 12.Make The New UPI Address as Default UPI. 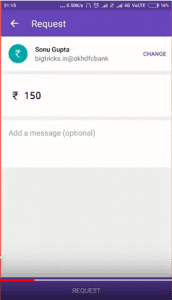 13.Now Again Request For Rs.150 & More from Phonepe or Paytm App. 14.Pay the Amount Using Tez App and You will get Scratch card again. 15.You Can Repeat Steps 5 times to get 5 Scratch cards and if You have Multiple Accounts You can Use Each Upi Address Multiple Times. 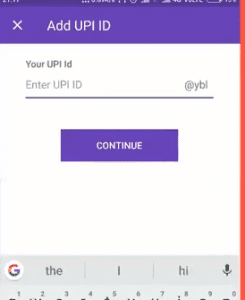 Note: You can create only 3 UPI Addresses In Phonepe App while You can Delete & create Unlimited UPI Address in Paytm So Use Paytm One you used all 3 UPIs Of Phonepe also Paytm Works Slow Sometime. If you did not Get The Trick Or have Any Query please Comment and if This worked for You Please Share with Your Friends. 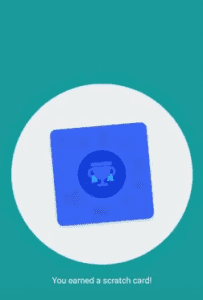 Bro post about anthing …but dont post about this tez app…never gives any reward in scratch cards…always better luck better luck …???? Sir I’ve linked PayTM Bank with Tez and after requesting money from PhonePe and proceeding it’s showing pending. What to do? How much will it take? bro tell me … bill payment scratch card earn without pay bills any trick ?